Very limited supply, original no longer available as new. 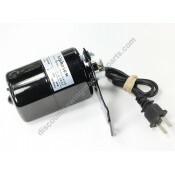 Refurbished, replaced motor brushes, clea..
Standard replacement motor with adjustable bracket. 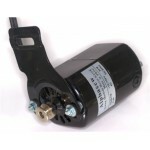 Motor is 0.9A, 7000RPM, AC 110/125V, 90 watt, 50..
Motor brushes with copper springs. Brushes come in a set of two. This is the ONLY old style motor .. 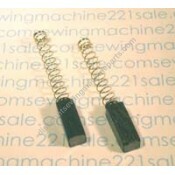 Kit consists of 2 brush caps, 2 carbon brushes with spring, motor mounting bolt (boss) with one flat..
One set of two motor brush caps. Fits older style 221 Featherweight and built-in motors.Fits the fo..